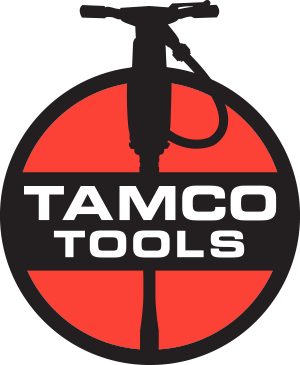 This tool comes in 1-1/8" and 1-1/4" shank sizes. Weighing in at almost 93 lbs., this tool is the perfect job for a larger demolition job. Two shank sizes are available - 1-1/8 inch and 1-1/4 inch. The Toku TPB 60 is one of our larger paving breakers, weighing in at around 65 lbs. It is easier to maneuver than the 90 lb. model, but still an excellent choice for your larger demolition jobs! Two shank sizes are available - 1-1/8 inch and 1-1/4 inch. Toku TPB-40 pound hammers is the perfect size and weight for light to medium construction. These tools work great for demolishing black top, masonry walls, bridge decks, or digging in frozen soil. Available in 1 inch shank size. Toku TPB-30 pound hammers is the perfect size and weight for light. This tools work great for demolishing black top, masonry walls, bridge decks, or digging in frozen soil. Available in 1 inch and 7/8 inch shank size.